Out of the box, Office 365 comes packed with useful features for enhancing your intranet, and with a little guidance, they can become dynamic tools for driving collaboration, communication, engagement. For your intranet to deliver value and be enthusiastically adopted by all your users, it must be carefully managed. Content must be informative, useful, engaging, and continuously updated, otherwise it will become stagnant and fall out of use. Here are some of the top out of the box features available in Office 365 for keeping your intranet content fresh, up to date, and engaging. Excel embedded content gives you the ability to display visual reports of your Excel data that update dynamically as the data is changed within the document. This reporting makes it easy to communicate important updates to your intranet users, and keeps your content relevant, useful, and up to date. Most importantly, you can make these reports visible to whoever you want, but only those with the correct permissions will be able to access the data itself. By applying automation to your Excel embedded content, you can customize them to automatically display the most recent document in a list. This means that you can continue to produce documents as normal, but they will be dynamically displayed to relevant users as they are published, keeping your content fresh and up to date. 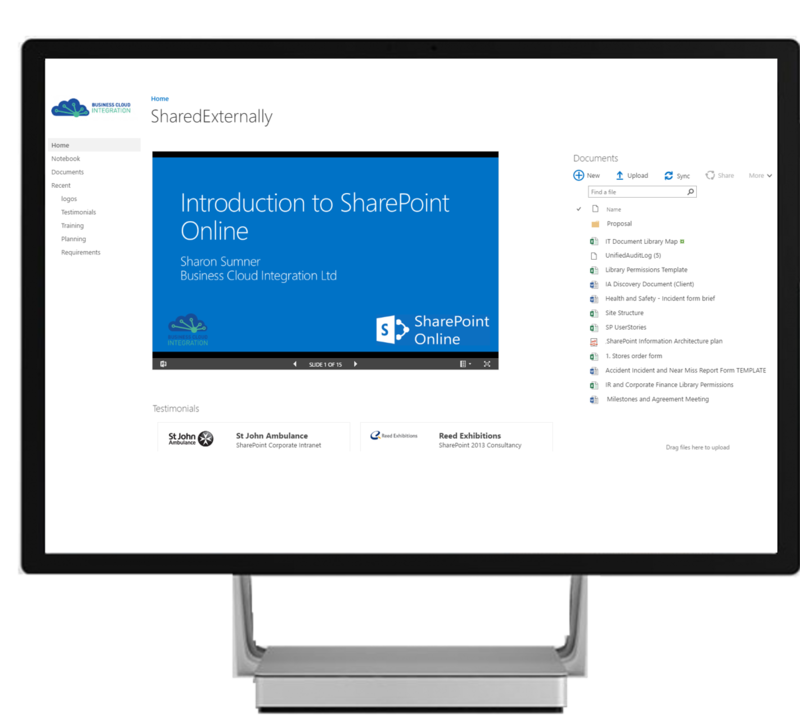 PowerPoint Content gives you the ability to embed PowerPoint presentations on your site for your users to view and click through. These are really useful for communicating updates, or making important information available self-service. These presentations can be published publicly within the intranet, but only those with the correct permissions will be able to access or edit the presentation itself. 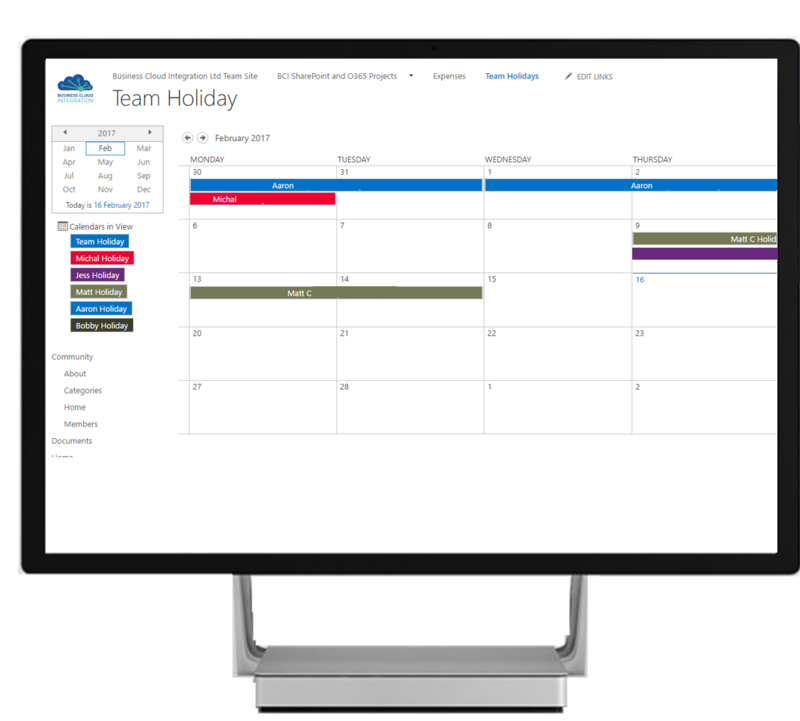 In Office 365 you can display and overlay up to 10 SharePoint calendars in one view, for easier team resource planning, calendar management, and availability overview. Search Content is a great way to display important information in an engaging way. Using fully customisable searches in your Search Content, you can pull information from SharePoint lists and surface it dynamically to the relevant people. Search Content can be used to consolidate relevant information in one place, such as company news, team profiles, or other relevant updates. You can scope your Search Content to search your SharePoint data by any attribute – e.g. team, role, department, title – and it will update live. For example: Search Content customised to display the HR management team will always show the profiles of users with that title, meaning that even when staff leave or join, the information displayed in your intranet will remain up to date. Your intranet’s usefulness is essential in driving user adoption, and the more accurate and relevant your information is, the more useful your intranet becomes to your employees. 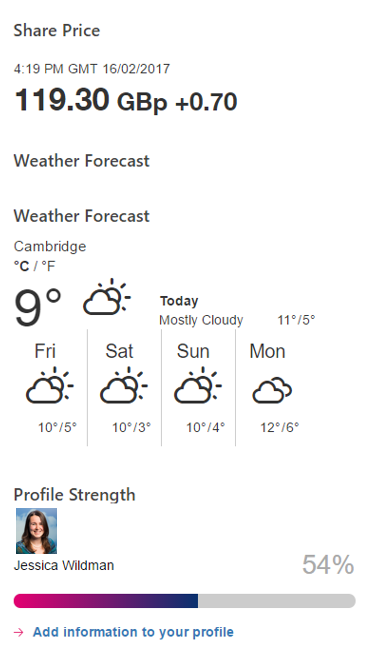 You can also create Search Content display templates, to change their look and feel in line with your organisation’s branding, and maintain consistency across your intranet. One of the main advantages of a SharePoint intranet is that SharePoint is where your data lives. 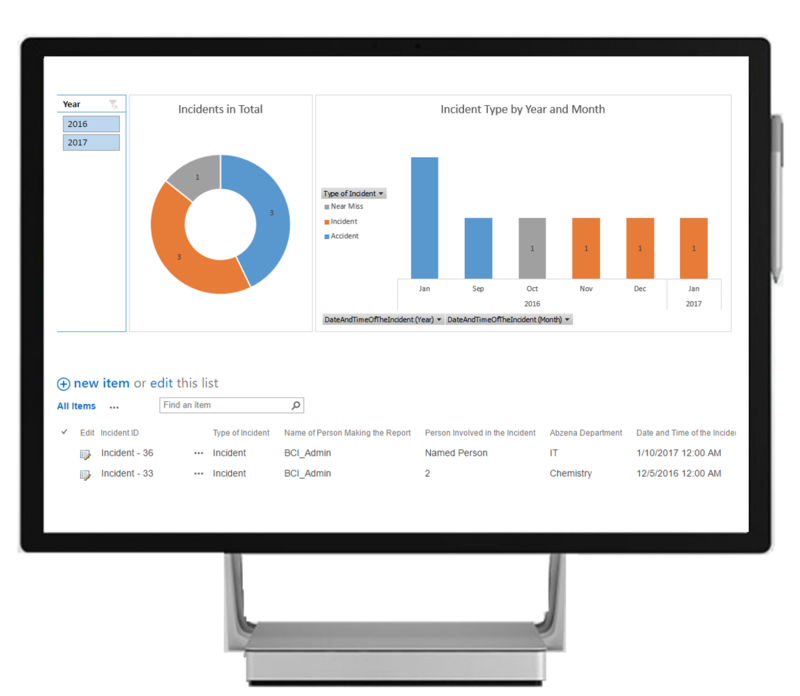 There is so much you can and should do with your data to get the most from your teams, resources and information assets, and there are multiple ways to get it done in SharePoint. If you are confident managing your SharePoint intranet, but have questions or would like some expert advice, give us a call. 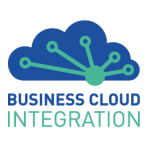 We offer support, training, and free intranet analysis to help you get the most from Office 365, and maximise the ROI from your existing spend. If you are looking for a partner to advise you, manage your intranet project, or provide specialist technical support to your in house team, contact us today. SharePoint is what we do, all day, every day, and with over 10 years’ experience of building dynamic and engaging intranets, we know what works. Find out more here.